was held at the Bath Recreation Ground. 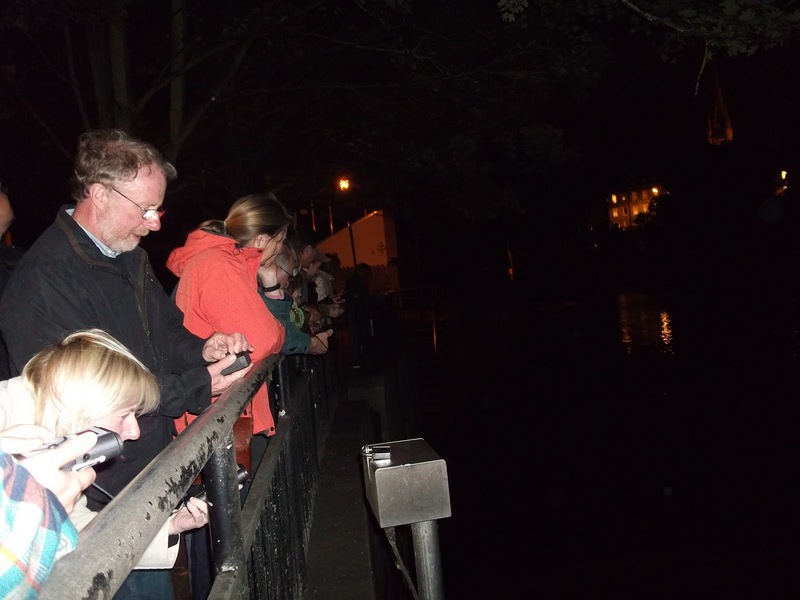 With the autumn nights closing in, the darker evenings offer a great opportunity to spot and learn about these intriguing creatures, flying about in the night sky, before they hibernate in the winter months. 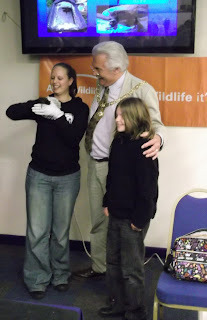 The Right Worshipful The Mayor of Bath, along with other bat enthusiasts, attended the event that was led by Laura Plenty (Chair of the Avon Bat Group). Laura gave us an introduction to the weird and wonderful world of bats, the only true flying mammal that has evolved so that their hands are wings. Bats make up a quarter of all mammals, can catch prey using echolocation and are the only creature able to delay fertilisation so that they give birth during the spring when temperatures are increased and there is enough insects available! 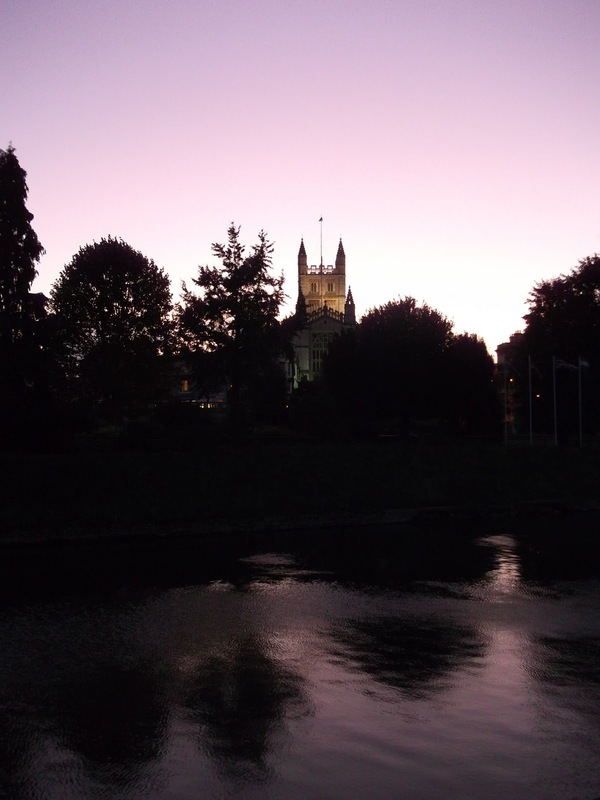 She also explained that bats are a fully legally protected species, and that their decline (70 % over the last 20-30 years) has been brought about by increased urbanisation combined with the decline in woodlands since WWII and loss of hedgerows due to farming intensification. 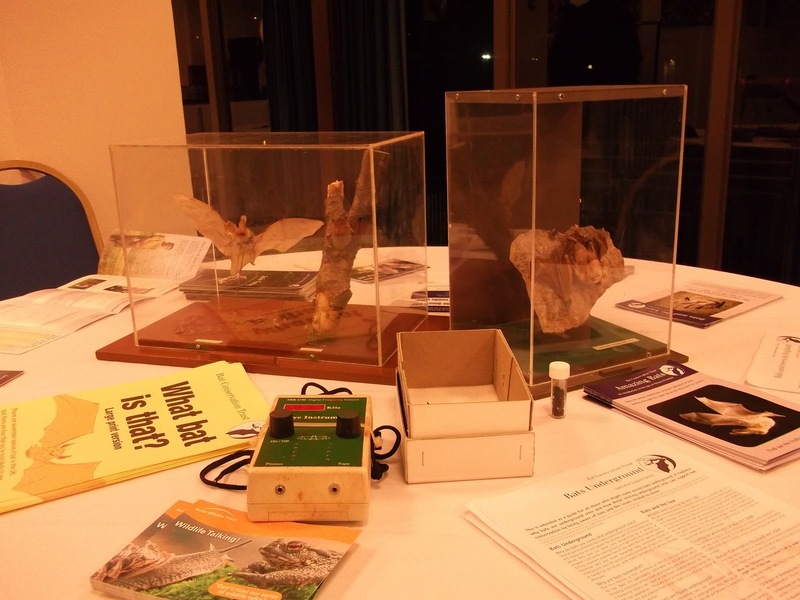 She also highlighted that the caves and mines of Bath are an important stronghold for the rare horseshoe bat, with a quarter of UK horseshoe bats living at Brown’s Folly Nature Reserve (Avon Wildlife Trust). 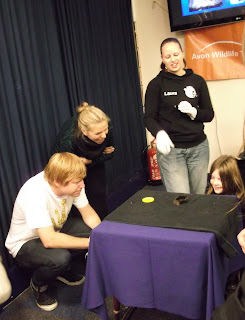 A real treat was the guest appearance of Smarty, a serotine bat rescued by Avon Bat Group that Laura now looks after. He is unable to fly because of an injury to his wing so cannot live in the wild. 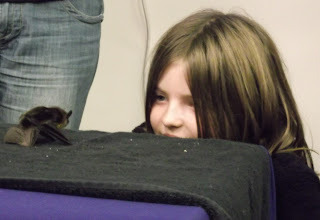 He is extremely cute and it was amazing to see a bat up close and hear the loud munching noise as he devoured some mealworms and beetles right in front of us! 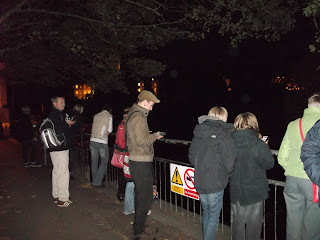 Then, armed with bat detectors, we headed out to find these fascinating clever creatures! Want to find out more about bats? Why not visit the Bats for Bath website, the Bat Conservation Trust or join your local Bat Group (Avon Bat Group, Wiltshire Bat Group) or you can hire a bat detector and audio trail from your local library for Brown’s Folly Nature Reserve in Bath, Willsbridge Mills, Wick Golden Valley and Warmley Forest Park in Bristol.